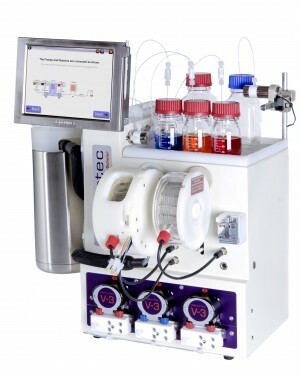 A new enabling technology for performing photochemical reactions in a continuous fashion is presented. 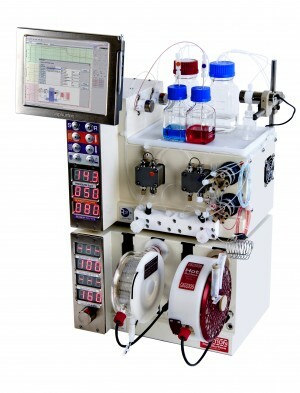 This photo-reactor is compatible with existing flow systems and can be furthermore linked to a photo-spectrometer in order to allow for real time analysis of photochemical reactions. In this communication we wish to report the profiling of this system and its application to the continuous synthesis of ibuprofen based on a photo-Favorskii rearrangement reaction of a readily available α-chloropropiophenone precursor.